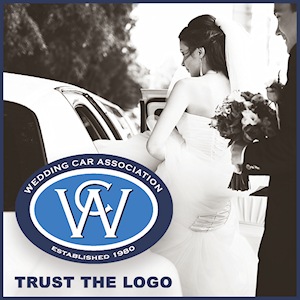 Rev up your wedding with one of our top 10 Hot Rod wedding cars for 2019, and really start your big day in classic style. 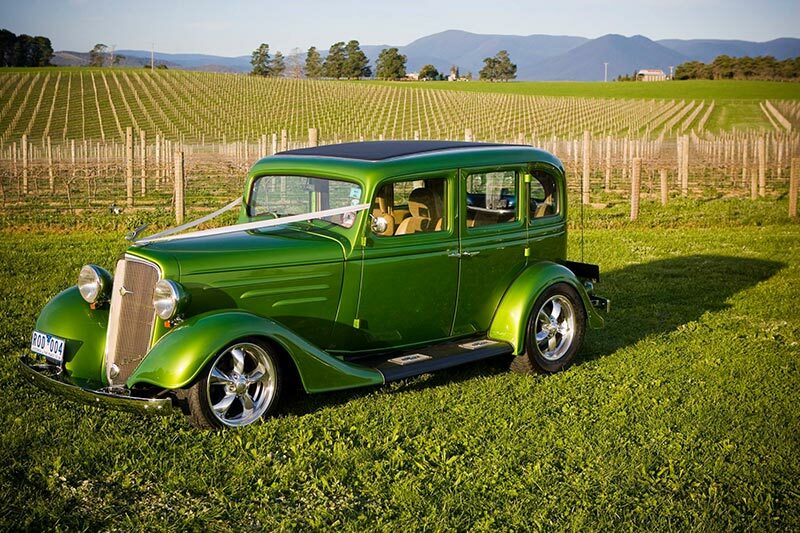 Ideal for the couple looking to make their wedding stand out and to drop the jaws of all invited, a Hot Rod is the ultimate statement vehicle. There are so many different options though, so we’ve created a list of the top 10 Hot Rod wedding cars for 2019 – great for wedding day inspiration! To help you wade through the dozens of Rod Hot options out there, here is the Top 10 Hot Rod Wedding cars of 2019. 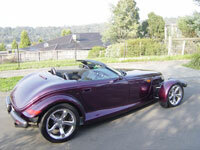 Combine the best of retro and modern with the Plymouth Prowler. This unique hot rod is fitted with all the modern frills and state-of-the-art mechanical engineering, but with a undeniably 80’s sci-fi look. 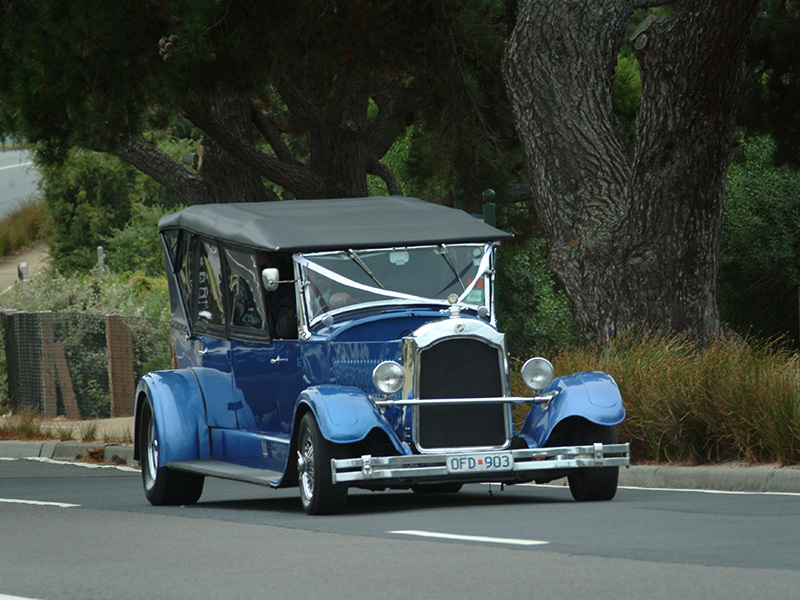 It’s a relatively rare car, making it highly unlikely anyone at your wedding would have seen one before. The ‘WOW factor’ is intense! 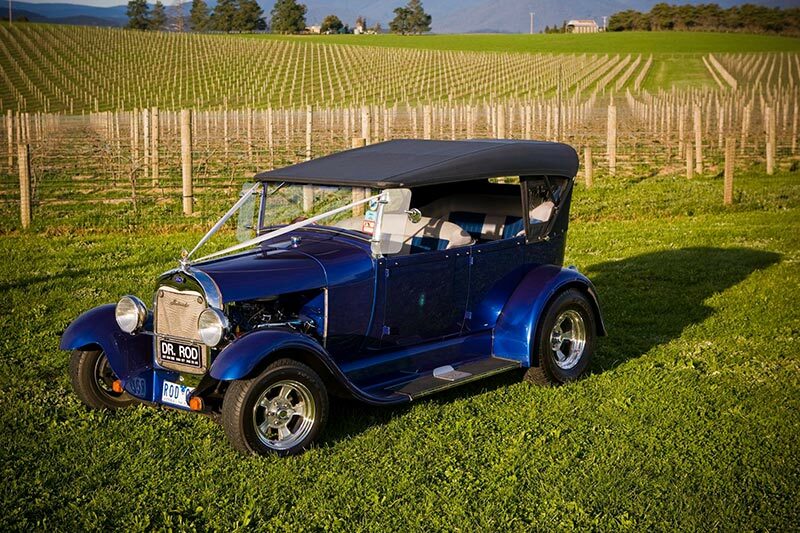 A true retro addition, the 1928 Ford Tourer Blue is about as hot rod as you can get. Don’t be fooled by its squared design – it makes no impact on how fast it goes! Boasting a V8 engine with 4 speed manual top loader transmission, you’ll hear the 1928 Ford Tourer Blue before you see it! 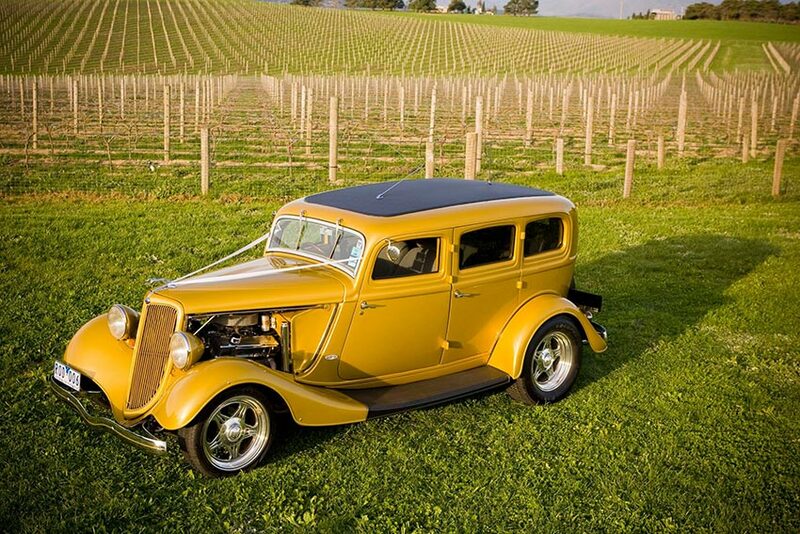 The 1934 Ford Sedan Chop Top Gold’s glorious colour and stunning design makes it the ultimate hot rod for the couple wanting some class and regality in their wedding car. However, make no mistake, this hot rod is still just as powerful as the rest! With its 400 Chev V8 engine you certainly won’t just be cruising around town waving. Its unique colour is what makes the 1934 Chevy Sedan Junior Green stand out. This unusual look is the ideal counterpart at a modern wedding location – such as at a hotel, beach or at home. Its green colour would also blend well with any natural setting, so it’s a great fit for the nature-loving couple! 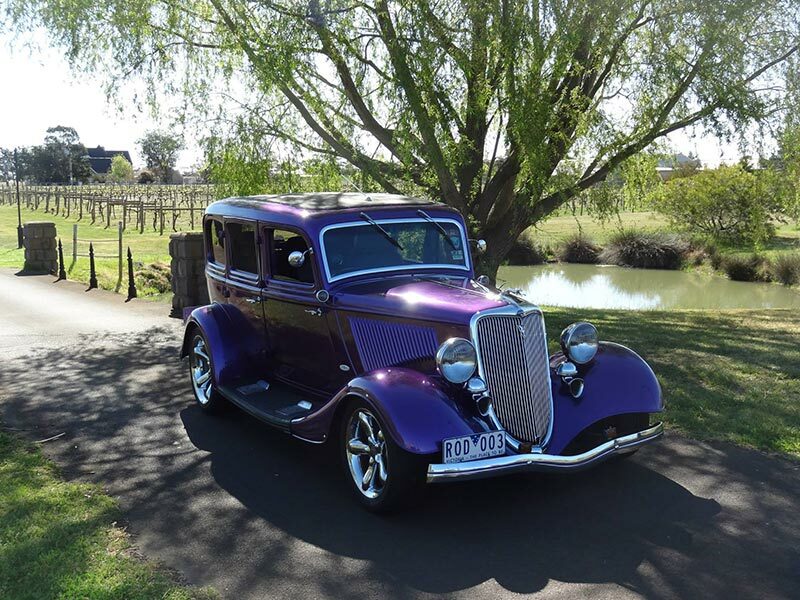 Another unique colouring choice, the 1934 Ford Sedan Purple boasts a mysterious aura topped off with the essence of royalty that purple used to represent. Truly beautiful and perfect for any wedding setting – traditional or modern! If you want all the flair and excitement of a hot rod, but wish to invite more people along for the ride, hot rod limos are available! 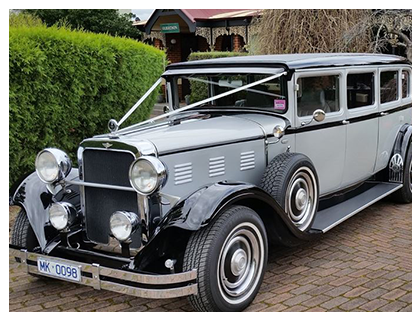 With its classic hot rod look and stunning colour, the 1926 Studebaker 7-Seater Limo is one of the best! With enough room to comfortably sit up to 7 people, you can keep the wedding celebrations going on the road – in style and with speed! Bring along your family and friends, and transport them back to an unforgettable world of glitz and glamour with the 1929 black and gold vintage Dodge. The black and gold adds an authentic semblance of the traditional royalty from days past. But don’t worry, it’s been upgraded with all the safety and comfort features that we expect in modern cars! The 1929 Black & Silver Dodge errs more on the side of cool and classy than royal. 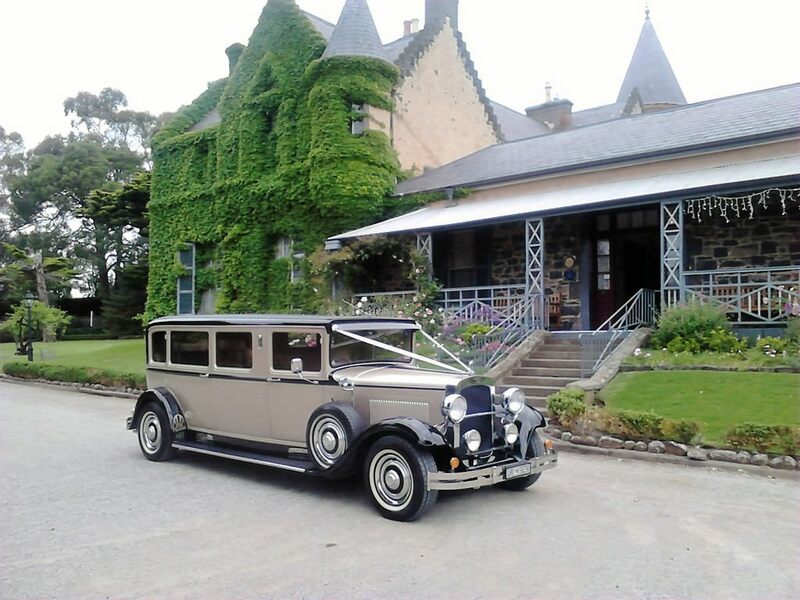 If you’d like your wedding transport to include the jaw-droppingly amazing 1929 Dodge, but the bombastic gold colouring of the 1929 black and gold vintage Dodge feels too intense, this limo is perfect for you! A powerful limousine built for those who want to cruise with grace and style, topped off with a motor big enough to give you goosebumps ! If you feel 7 seats is too much, downgrade to a cosy 5 seater 1926 Studebaker Tourer limousine so that you can enjoy the ride while being closer to those special select people in your life. A stunning little number with an engine not be underestimated, the 1928 A-Model Ford Tourer in Black looks like something straight out of a film. Its red leather interior matches well with the entirely black paint job, with both colours pairing well at any wedding setting or situation! 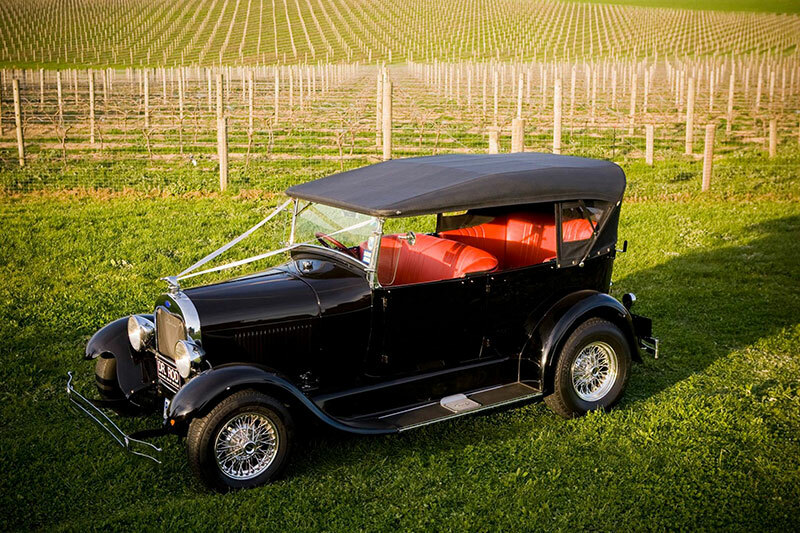 The perfect balance between a slightly muscular yet cute, cozy and warm look will appease those on the fence about hiring a hot rod car for their wedding. 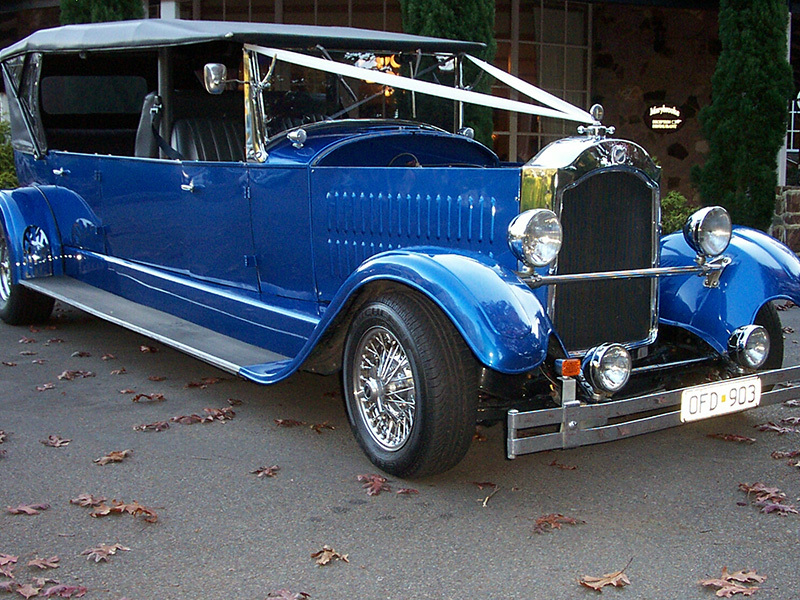 Is a Hot Rod your dream wedding car for this year? If you are keen to secure one of these models for your own wedding day, head over to our online directory, and get in touch with one of our members.